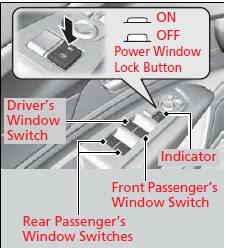 The power windows can be opened and closed when the power mode is in ON, using the switches on the doors. The driver’s side switches can be used to open and close all of the windows. When the power window lock button is pushed in, the indicator comes on and you can only operate the driver’s window. Turn the power window lock button on when children are in the vehicle. The power windows can be operated for up to 10 minutes after you set the power mode to VEHICLE OFF (LOCK). 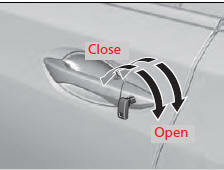 If a power window senses resistance when closing automatically, it stops closing and reverse direction. 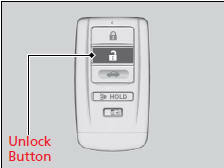 To open: Press the unlock button twice within 10 seconds and hold it down the second time. If the windows stop midway, repeat the procedure.